My name is Cassidy Mershon, I am the executive director of Save A Smile. In the spring of 2015, I attended a medical mission to the city of Bacolod in the Philippines with Uplift Internationale. The mission provides free surgeries for children with cleft lips and palates. Uplift I nternational’s team of doctors, nurses, and volunteers travel to a new city each year mending hundreds of smiles along the way. During this mission I discovered an extreme lack of dental care. As I began researching, I discovered that dental care in the Philippines is very expensive and not practiced regularly. A lack of dental health can result in heart disease, dementia, respiratory infections and diabetic complications. It was time to make a difference, and I knew I had the power to do it. If a child has access to a hand washing and tooth brushing station at their school, they can brush their teeth twice a day and reduce the chances of heart disease. 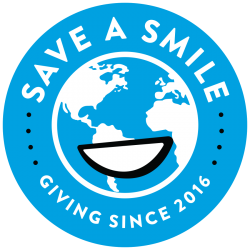 With your help, not only will we bring worlds together, we will also save lives by saving smiles.